Everyone loves to eat risotto but cooking it is another thing. The time consuming task of standing over a pot while gradually adding chicken stock and stirring, stirring, stirring makes you think twice about cooking this dish. But not any more. This recipe makes a delicious risotto in the microwave! Hard to believe I know! But now I don't hesitate to cook up a pot of this traditional Italian side. The secret to this recipe is the cooking vessel. The amazing Rockcrok from The Pampered Chef allows the arborio rice to cook up in the microwave delivering perfect risotto. Before I share the recipe, let me tell you about my new favourite cookware. 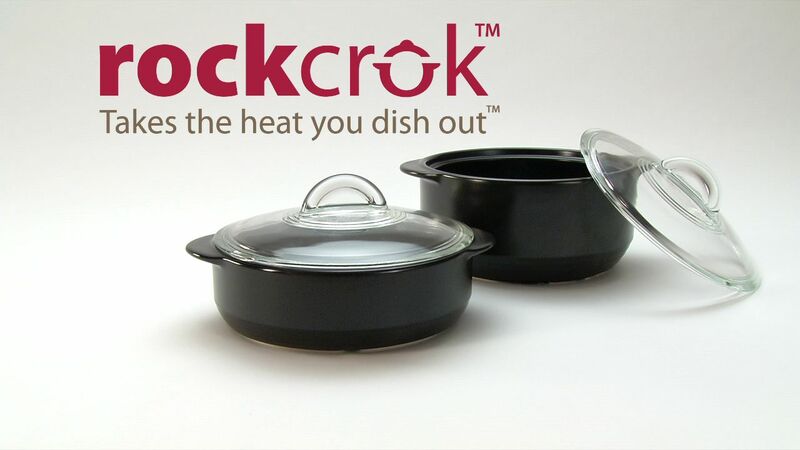 I love that the Rockcrok can go into the oven, under the broiler, onto the cooktop, into the microwave, onto the BBQ grill ( without the glass lid ) and then cleans up in the dishwasher! Made from clay, this ceramic cookware features exceptionally high heat resistance ( up to 750 degrees F). Beyond the microwave, when cooking on the stove top or in the oven, consistent heat distribution helps brown food perfectly, and extra long heat retention keeps food hot in the pan which makes it a must have for buffet parties. 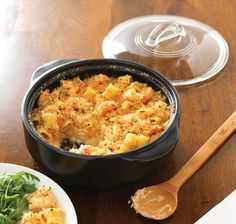 With 2 sizes to choose from, you can cook for a small family or a large crowd. Heat olive oil in RockCrok on stove top. Sauté shallots and garlic for 1 – 2 minutes until softened. Add rice and stir to coat with oil for 1-2 minutes. Stir in wine and cook uncovered for 2- 3 minutes, stirring occasionally. Remove pan from heat and add chicken stock. Stir. Cover and microwave on HIGH for 15- 17 minutes. Remove from microwave and stir. Add cheese, lemon juice and zest, salt, pepper, nutmeg and chives and stir. Add baked asparagus and serve. Summer entertaining is easy with this recipe. Serve with grilled veal chops and enjoy!